Welcome to the Hot Rod Club Prize Redemption Portal! Thank you for your purchase of Dakota Digital Products! Below, you will be able to enter your shipping information and send a copy of your invoice from an authorized Dakota Digital Dealer to redeem your free Dakota Digital gift! It’s time for a new hat, and you might as well make it a quality unit. This FlexFit, one size fits all hat with its 3 ½” crown and rounded shape, is a flattering addition to your head. The lightweight, fast-drying Pique weave fabric makes this the go-to for summer days when you need face-shade but not head-sweat. Hot rod black body with embroidery front and rear lets others know that you made the right choice in electronics for your hot rod. MagLite has forged a name as the manufacturer of high-quality hand-held lighting devices. It’s no surprise, what with the sturdy aluminum body and no-slip knurled-grip; simply holding a MagLite flashlight in your hand you can feel the quality, and this triple-D battery unit is no exception. Laser-engraved with the Dakota Digital logo and made in the USA, your friends will be jealous, even when standing 364 meters from you, as they’ll still be able to see you shinin’. Enjoy up to 79 hours of 131 lumens, thanks to the efficient LED lighting element. Most screwdriver drawers look like a battlefield full of mis-matched handles, broken tips and bent shanks. Now is your chance to add some function, class and organization to the chaos. As good as five screwdrivers in one, this genuine Snap-On ratcheting screwdriver has interchangeable tips that store neatly inside the handle. The five tips are magnetized; you’ll never listen to a screw play Plinko through your engine bay as you wait breathless, hoping it hits the floor. USA-made and proud of it, the black handle will never be dirty, and the stainless steel shank will offer years of trouble-free operation. charges, sales tax, installation, etc. One product rebate is available per invoice, one invoice per rebate. Only new product purchases are included in this rebate program. 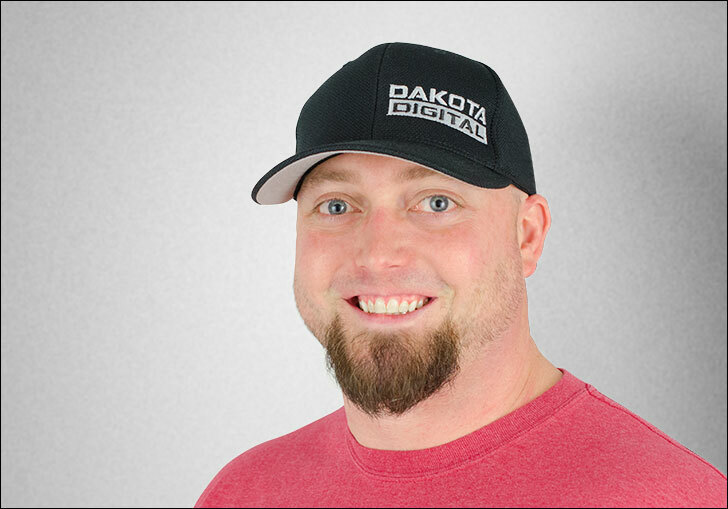 -All invoices must be legible and verifiable from an authorized Dakota Digital Dealer. Product rebate will not be processed until invoice has been verified. -Hot Rod Club membership must be current and in good standing. Verification of this may add to processing time. Email a copy of the original receipt or invoice to hotrodclub@dakotadigital.com to finalize your submission. A quality photo of the receipt and emailed from a phone will generally suffice.